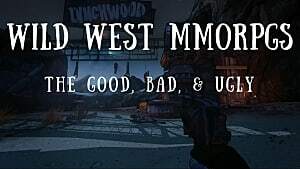 If you’re just getting started with Wild West Online, you may find yourself a tad bit overwhelmed with all that it has to offer. 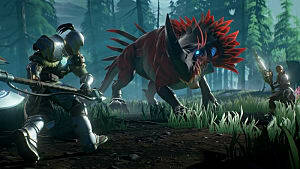 This is mostly due to the fact that it’s still pretty early in its development stages, and if you’re at all unfamiliar with some of the game’s elements, it can be incredibly frustrating and confusing. Fear not! We’re here to make the process of settling into this new rugged Western frontier a whole lot easier with our beginner's guide. The first thing you’ll do when starting your journey into the Wild West is join a faction. 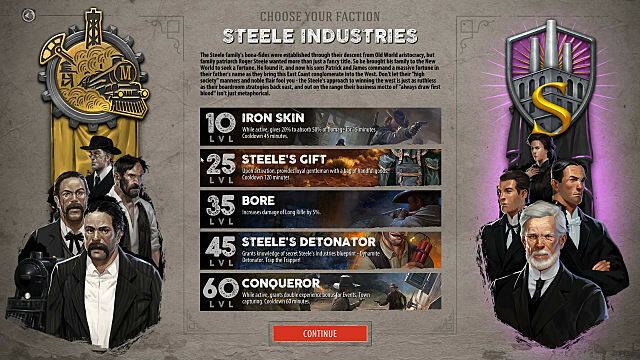 There are two clans to choose from: the McFarlane Family or Steel Industries. For most players, your choice will be based on the outlined skills you can get for reaching various level milestones. Though some rewards are the same, there are a few that make the decision somewhat impactful on gameplay. Overall, players will have to choose a side, but this doesn’t at all mean that you have to remain loyal to anyone. 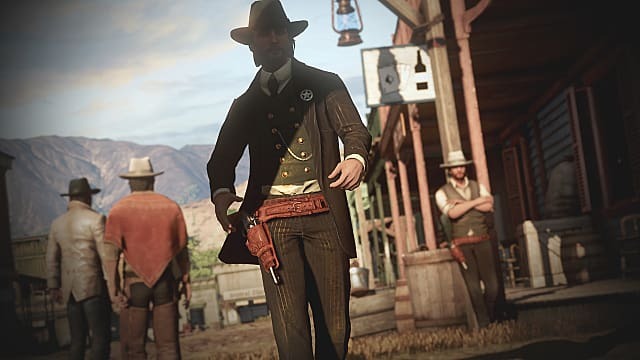 You’ll find out rather quickly that there are plenty of outlaws in Wild West Online that prefer to play by their own rules, despite their clan affiliation. 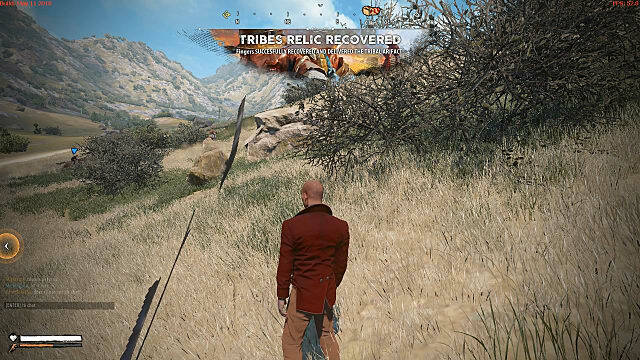 You’ll find events happen rather frequently in Wild West Online, and you’ll be alerted of them with a banner displayed at the top of your screen. Finding where the event is happening is as simple as pressing the "M" key. 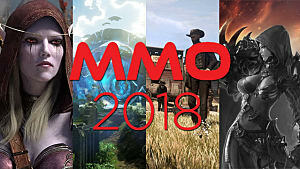 This opens up the Wild West Online map, and icons will reveal where you can go to participate. Events include retrieving relics, finding gold, and capturing towns. 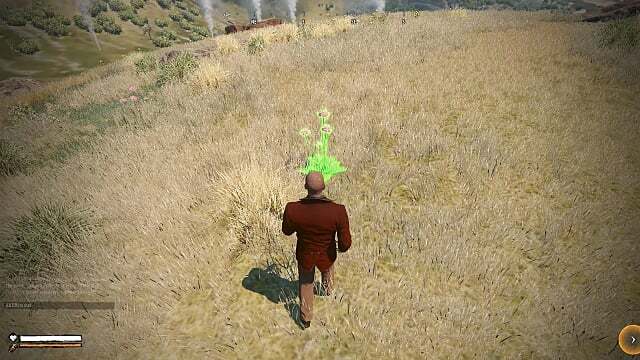 As for errands and other missions, scattered throughout the map are various farms, towns, and places of interest where you can typically find NPCs looking for help with tasks. These characters are indicated with a speech bubble, and upon speaking to them, you will be prompted with a mission that’s usually something along the lines of helping out on the farm or running an errand. Keeping track of everything can be done by pressing the escape key and selecting the Journal tab, which will reveal any ongoing Exploration, Errands, Events, and Story missions you currently have. These quests are all great ways to earn experience, gold, and more. 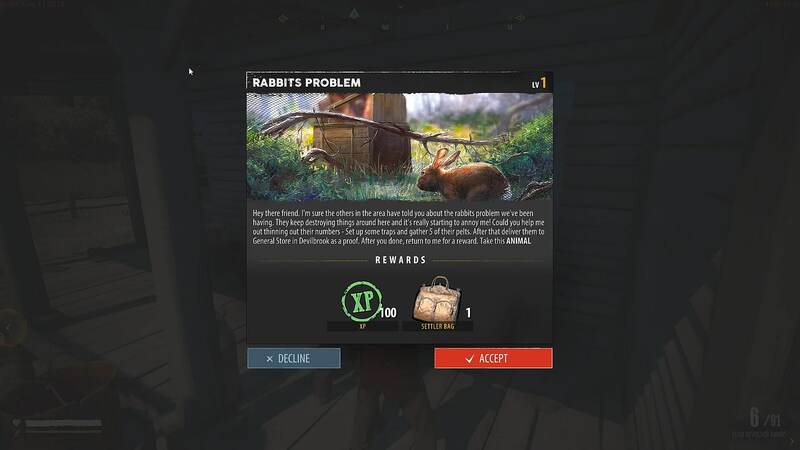 If you’re assigned a mission where you must collect animal pelts or something of that sort, mission-givers will provide you with an animal trap, or you can also buy a trap yourself by simply heading to a town and purchasing one at the General Store. If you’re on an errand, the NPC will usually specify where you’ll need to go to find the pelt or meat they’re looking for. Otherwise, you’ll want to set your traps around campsites and farms. To set the trap, press the "CTRL" key and select the Deployables tab. 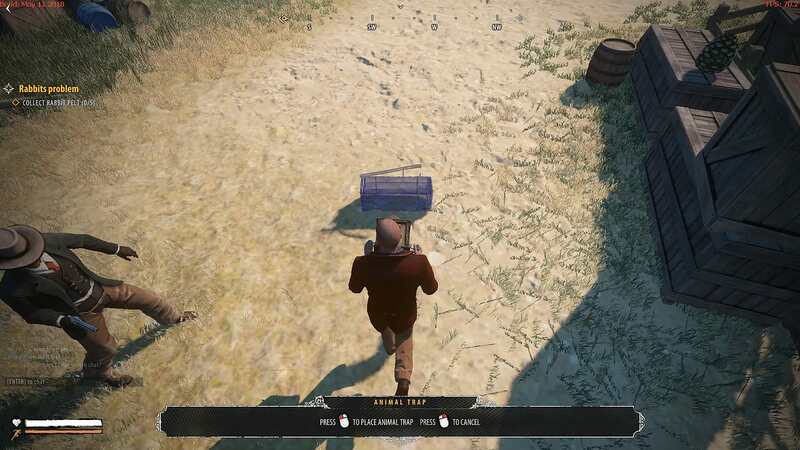 The trap will appear, and you’ll know you can set it down once it’s highlighted in blue (red means it can’t be placed). You’ll have to wait for the time to lapse on the trap, and then you can interact with it to collect whatever pelt or meat it’s picked up. If you’re looking for specific types of pelt or meat, it’ll take plenty of tries. If this is a task you plan to do a lot of, it may work to your benefit to spend skill points on the Rancher ability under the Settler skill tree to make the process faster. There are plenty of shrubs, trees, and other plants in Wild West Online, but you’ll quickly find that not all of them can be harvested. Plants such as Black Sage, Echinacea, Matilija, Willow, and Yarrow can be found along edges of grassy hills and the sides of small houses. You can also use the Survivalist map that you’re initially given, or purchase one at the General Store. You’ll know when a plant can be picked when you hover your cursor over the herb and it reveals its name. All you have to do is use your left mouse button to collect it. Spend skill points on the Herbalist ability under the Explorer skill tree to reveal herbs in the surrounding area. When beginning your quest for gold in Wild West Online, you'll find that the game conveniently starts you with one pickaxe that you can use for mining. You can also buy pickaxes in towns at the General Store. Press tab to equip the pickaxe, and look around mountainous terrain for black rocks with yellow streaks running through them. When you hover your cursor over them, they will indicate that this is gold. 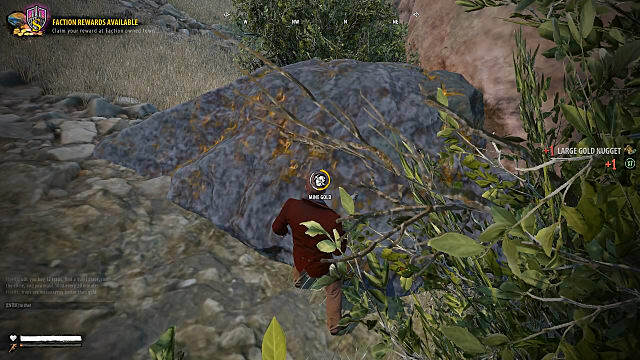 Hold down on the left mouse button to mine the ore.
To make finding gold and other minable resources easier, take a look at a Gold Map or Mining Map (also available in your inventory at the start or through the General Store), and it’ll reveal where to find them. Unlock abilities under the Settler skill tree to improve your mining. We hope this beginner's guide has answered some of your most burning questions about getting started in Wild West Online! Now go on, cowboy! Ride across this new uncharted frontier with confidence, and make sure to check out our Wild West Online hub for more guides.